You have decided to become a teacher. Great decision! You are about to embark on a journey that will change your life and that of those you teach each day. Here are the steps that are needed to become a certified teacher in Indiana. Is working with high school seniors on large scale projects what keeps you going? Would you like to teach kindergartners the alphabet? Maybe you want to help those students that have special needs? Deciding which grade level(s) or subject area(s) you wish to teach can be tough, but something you should consider early in the process. If you are really unsure, talk to a counselor or advisor for a bit of information about several interesting areas. You can also check out the Indiana Department of Education website for information on educators, schools, and students in the state. As with all states in the U.S., Indiana requires a Bachelor's Degree as the minimum requirement to teach. In addition, candidates will be required to complete a teacher preparation program. This requirements should be fulfilled through an accredited college or university as decided by CAEP, formerly NCATE and TEAC. An option offered by many of these accredited schools is the blended or joint program. This type of program allows you to receive a Bachelor's Degree as well as a teaching certificate upon successful completion of all requirements. This is often an intensive program, but one that shortens the time it will take to become a teacher for those who know that they want to teach from early on. Public school teachers in Indiana should have a teaching license. The same is typically true of private or charter schools, but actual requirements can vary from school to school. Educator preparation programs involve both set curriculum and fieldwork aspects. In order to be successful in these programs you must take and pass, often with a set GPA, classes on technology, pedagogy, and teaching methods among others. You must also successfully complete observation hours, reflective writings, and student teaching. Each college may vary slightly in the number of required hours or specific assignments. If you are successful in all aspects then you will likely receive your Bachelor's Degree and teaching license. If you have a Bachelor's Degree in another state, but wish to become a teacher in Indiana, you can enter a Transition to Teaching program at a college or university. This helps professionals from other states become teachers. There are also Indianapolis Teaching Fellows programs that offer support and training to those wishing to earn a Master's of Arts in Teaching for certain high need subject areas. The Indiana CORE Assessments for Educator Licensure includes a test of basic skills, four developmental subject (pedagogy) assessments, and over fifty content area assessments. Recently, the CASA (Core Academic Skills Assessment) has taken the place of the PRAXIS I as a means of fulfilling entrance requirements for Indiana Teacher Preparation Programs. Based on Indiana's Educator Standards, there are over 50 assessments developed to replace the PRAXIS II test. A full list of available Content Area Assessments can be found on the Indiana program website at www.nesinc.com. Note: Praxis tests taken and passed prior to May 31, 2014 may be accepted. However, Elementary Generalist Subtests and Early Childhood Subtests can't be combined. Partial tests from Praxis II and Pearson will not be accepted. In order to apply for a teacher license in Indiana, you must first pay two associated fees. The first fee is $35 for an evaluation fee and the second is $35 for the license application fee. A handling and transaction fee may also be necessary. The Office of Educator Licensing will notify you of the fee schedule as needed. In addition, you will need to provide official transcripts showing that you have completed a teacher preparation program and a degree. You will also need to show proof of passing status on all required exams. An initial license cannot be issued to anyone, other than educational interpreters and substitutes, unless a successful application and completion of child suicide and recognition of signs of suicide training has been done. All new applicants are also required to show proof of CPR/AED/Heimlich certification. Other proof of certification may be required as updated licensing criteria is often added. Congratulations, you are ready for full time employment as a licensed educator in Indiana! 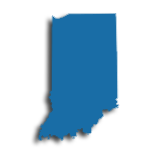 The state Department of Education in Indiana uses the Indiana School Personnel Job Bank (IDOE) and Schoolspring.com to help potential candidates find and apply for postings throughout the state. Elementary education, STEM, English, Physical Education, and Special Education are areas currently experiencing high need. Teachers are encouraged to search the databases often as job postings do expire. Once hired, either permanently or on a contract, teachers can join the Indiana State Teachers Association (ISTA), or the Indiana branch of the American Federation of Teachers (AFT) as both are statewide professional associations for teacher advocacy and labor equity. Retiring teachers are eligible to draw a pension from the Indiana Public Retirement System (INPRS), which has the added benefit of some financial advisement options. Private schools are also constantly seeking high-quality applicants in a number of subject areas. Although private schools are not required by law to hire only certified teacher, most prefer it. Indiana has 830 private schools that serve over 118,000 students. Most private schools in the state are faith-based. The table below lists the number of public school teachers in Indiana by grade level during the 2012-2013 school year. There are more than 670 private schools with an estimated 7,200 private school teachers in Indiana. The table below details the number of teachers by grade level during the 2011-2012 school year. The teaching profession regards professional development as a necessary part of knowledge acquisition for every kind of educator. In fact, in most states, continuing professional development is required for renewal of teacher licensure. Professional development planning includes choosing programs that teach and evaluate instructional and leadership practices. Professional development should be evidence-based, and contain a self-evaluative component in order to expand teachers' practice both in and beyond the classroom. In addition to improving practice, ongoing professional development will aid teachers in making their career and salary goals. Indiana Purdue and Fort Wayne Universities have formed a strategic network in order to offer comprehensive professional development to teachers. Additionally, the Professional Learning Board provides online continuing education on a national basis. The state of Indiana has taken its cue accordingly and is currently deploying a strategic campaign to become a national leader for eLearning professional development initiatives through public platforms like Twitter. Once you move on from your 2-year Initial Practitioner license as an Indiana teacher, you'll be converted to a Proficient Practitioner license instead. 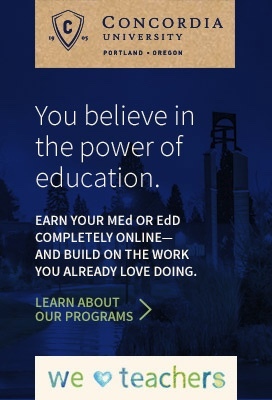 Doing so will put you on a 5-year renewal schedule, but it won't get you out of college coursework-you'll need to earn at least 6 semester hours at a regionally accredited institution to keep your credentials. Alternatively, to meet the requirement you can earn an equivalent in Professional Goal Plan hours, or earn National Board Certification. Since you're going to be hitting the books again anyway, it makes sense to put those credits in toward a master's degree to pave your way to the highest license level available to Indiana teachers: the Accomplished Practitioner license. Becoming an Accomplished Practitioner, your license becomes effective for a 10 year term. But in order to reach that level (a step that Indiana calls "professionalizing" the license) you will have to earn a master's degree from an accredited institution. To become an Accomplished Practitioner you'll also need at least two years experience teaching in an accredited school and at least one complete five-year term as a Proficient Practitioner. In some Indiana school districts, although not all, a master's degree can also bring a salary bump along with it. In tiny Shoals, for example, an eligible master's degree can improve your annual salary by as much as $2,000, assuming you also meet other professional obligations and standards. Another benefit to pursuing a master's degree as an Indiana teacher comes in using it to expand the content areas covered by your license.